Summer weekends come at premium when you’re at a certain age; undoubtedly, you’ll have to set aside a few for rehearsal dinners and wedding bells. It’s not the worst way to spend those precious days off, especially when you get to travel to a place that’s meaningful or one you’ve never visited before. You can usually expect to be well fed, which is important because you will also likely be well-served at the bar. Gone are the days of a church ceremony followed by coffee and cake, and in Colorado, the trend of farm weddings with a meal centered around local ingredients has become as mainstream as Mason jars. 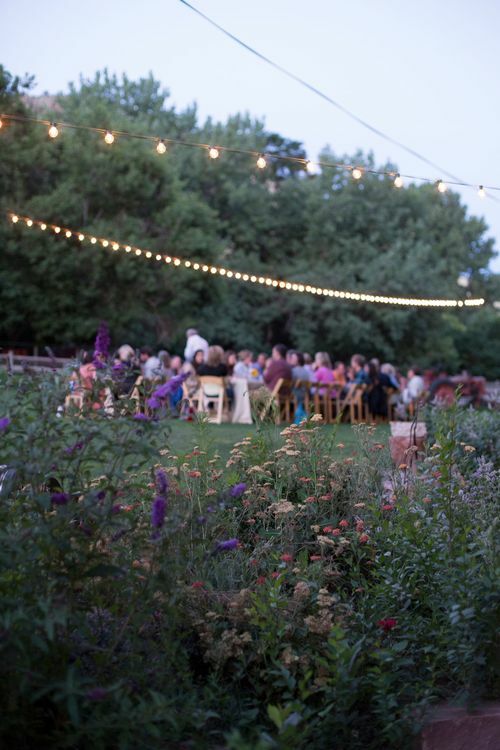 If you’re looking to plan a wedding (or other fun event), on a farm or otherwise, check out these three Boulder-based catering companies, who create thoughtful and delicious dishes that will please everyone from the ring bearer to your favorite grandma. A Spice of Life: With almost 30 years on the catering scene, Spice has more than chafing dishes and linens lining the shelves of its Boulder headquarters. The company has won myriad awards for being the best of Boulder and Denver’s wedding and other event caterers. From small weddings to corporate lunches to black tie evening events, Spice has a menu for every occasion. Of special note are their “corporate breakfast,” “holiday,” BBQ,” and “farm-to-table” menus, all of which can be perused on-line. Fresh Catering: Fresh is relatively new to the catering scene; however, its founder Gary Silverman has been in the Boulder food biz for decades. A former chef at the Boulder Cork and the food truck Bumper Crop, Silverman has the Coloradan’s palate well sussed out. Appetizers like beef and green chile enchiladas and fish cakes provide a perfect 2-bite pop of flavor that won’t weigh you down before the main course. Salads are fresh and local–I know this because I work on a farm that fills Fresh’s orders–and mains include a protein that is often sourced from Colorado, as well. Silverman is a pleasure to work with and will happily accommodate menu requests. Eat: For a curated catering experience, look no further than the ladies at Eat. For founder and head chef Katie Baum, supporting community-based agriculture is tantamount to presenting the same food intentionally and artfully. Eat catering services range from simple appetizer spreads to lavish multi-course meals. They also offer various event coordination packages if you are in search of menu recommendations & selection, venue styling, tablescape design, party gift & favor consult, and more. Sound yummy? Now, go and throw a party! Next Next post: The Kitchen Next Door for Wine?